When a storm rolls through and knocks the power out, all the modern conveniences people take for granted disappear. They suddenly find themselves with no way to cook, heat their homes, run medical devices, warm baby bottles or store refrigerated foods. Investing in a portable generator is more affordable and can certainly ease some of the hardships of a blackout, but a home standby generator is a more permanent solution. 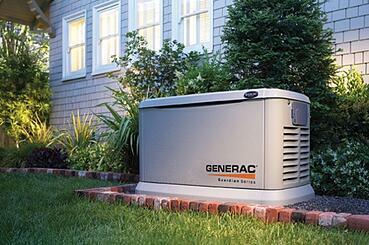 Standby generators are ideal in situations where the power goes out for days or weeks at a time. While people like to think that being powerless for more than a few hours can’t happen, history proves otherwise. Take hurricane Sandy for instance. This storm left some residents without power for weeks. Of course, those who had standby generators had adequate power resources to carry on with their normal in-house routines, so they didn't feel the burn as bad as others. Unlike a portable generator, a standby is permanently installed outside of your home and connected directly to your electrical panel. The primary source of fuel for a standby is gas. If gas is not available, these generators are set up to use propane or diesel as an alternative. When the transfer switch detects an interruption in your utility service, it automatically turns on the generator and transfers the power to the electrical panel. When the utility company turns the municipal power back on, the switch automatically turns the generator off and reconnects the system to your regular power source. Power is such an integral part of life that most people feel crippled when it's not available. So in a perfect world, no one would have to do without it. Unfortunately, when a storm happens, there is no way to tell if or when a blackout will happen. In addition, there is no way to determine when the utility company will get around to restoring lost power. 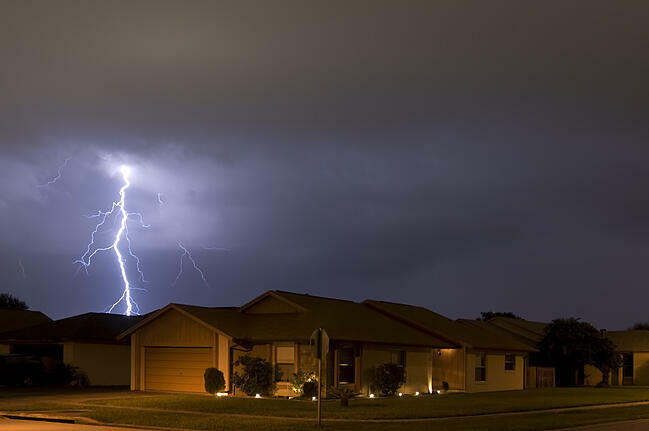 Standby generators are highly recommended for homes with small children and elderly as they have the worst time dealing with extended power outages. Particularly when temperatures are extreme and the home can’t be comfortably heated or cooled. This type of generator is also crucial for people who have medical devices that run on uninterrupted power sources. In addition, a standby generator is important for those who have home-based businesses they rely on to pay bills and feed their families. A standby generator is not something you can just drag out to the back yard and fire up. There are a lot of intricacies involved with installing one. For this reason, trying to do it on your own is a bad idea. To prevent fire hazards and other dangers, the wiring needs to be connected properly. Also, the installation process requires advanced plumbing skills and an in-depth knowledge of ordinances and building codes. Don’t get caught off guard when the next storm blows through. A standby generator will ease the discomfort of a power outage and allow you to take care of your loved ones with ease. If you’re considering one, have a professional come out to assess your load needs and determine the logistics of your installation. 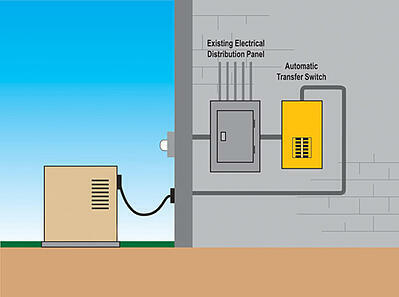 ECI can help you choose a generator to supply power to your home when the rest of the neighborhood goes dark. Click the button below to receive our Wattage Worksheet which will help figure out which home generator is right for you.